To protect your hard-earned wealth and preserve your assets for the future, a corporate structure is often the best course of action. These corporate structures limit your individual liability, creating a level of protection between you and the real estate, cash or investments you have worked so hard to earn. Before you choose the best corporate structure for your needs, which might be a Limited Liability Company or an International Business Company, and before you choose the right international jurisdiction for your structure, take a closer look at their history. By learning more about the history of the corporate structure and why they were created, you can better understand the many advantages that an LLC or an IBC can bring. As early as the 17th century, the concept of a corporation was in play. Throughout the 17th and 18th centuries, savvy individuals opted to create a corporate structure as a way to bring in investors without needing them to play a role in the day-to-day operations. These investors, while they could benefit from significant profits and growth, weren't liable if the business failed or lost money. They could only lose what they had already invested, but they couldn't lose a penny of their own money held in outside accounts, real estate or valuable goods. It wasn't until the 1977 that the very first U.S. LLC was created in Wyoming, but its roots were absolutely based in the 18th century corporate laws of Europe. 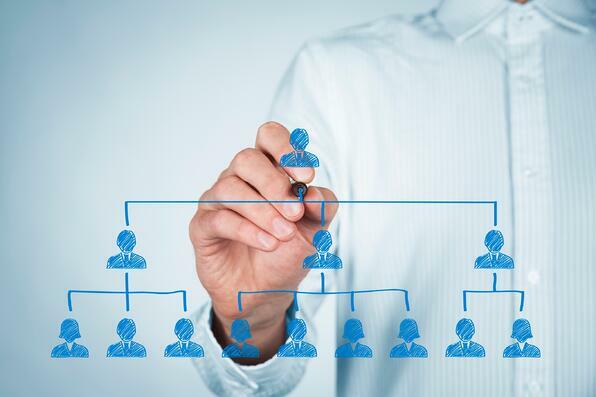 Creating a corporate structure is clearly not a new concept, and it is one that will remain popular around the world to protect investors. • Limits Personal Liability: Arguably the most important advantage of a corporate structure is that it limits your personal liability. If you own $1 million in cash, and you invest $100,000 into an LLC that fails, you don't need to worry about the remaining $900,000 in the bank, because it will remain secure. Even if the corporate structure fails for any reason, the investors, shareholders and directors can rest assured that their remaining assets are secure and distinct from the corporate structure. • Protects Against Legal Discourse: As you move assets offshore and expand your financial portfolio, it is normal to be concerned with issues of legal discourse. Whether you're worried that a looming divorce might reduce your holdings or a separate business matter could result in frozen assets, a corporate structure can be beneficial. In addition, your contribution to the company doesn't necessarily mean you are liable for mistakes the corporate structure makes. If an IBC is sued, for example, the company is at risk, but the shareholders and directors who contributed to it won't be. • Can Limit Tax Liability: Finally, it is important to note that most corporate structures are created offshore for better protection and limited liability. Offshore corporate structures can also offer some tremendous tax advantages. An IBC may still be liable for corporate taxes, and an LLC is subject to personal income taxes. However, a favorable jurisdiction can help limit those taxes in some cases. For hundreds of years, corporate structures have been used to reduce personal liability and to separate the individual from the business. Today, establishing an LLC or an IBC can help you to achieve both of those objectives.